A hallmark of luxury travel in the roaring 1920s, the Orient Express was a muse for writers and the place to be seen for Europe’s grandest aristocrats. Carving its own niche in history, it was aboard the Orient Express that First World War armistice papers and France’s surrender to Nazi Germany, in the Second World War, were both signed. Popularity waned during the austerity of the post-war years, although a pared-down service operated until 1977. 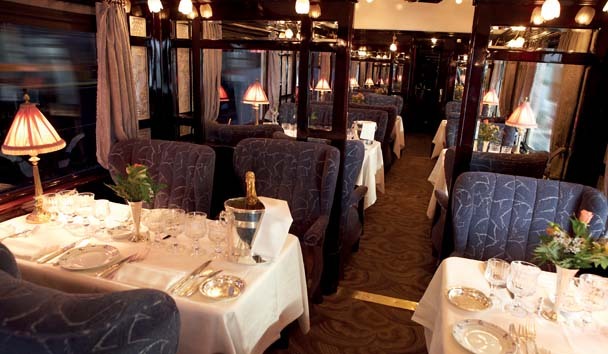 Then came a fresh approach: using classically-restored original carriages, the reimagined Venice Simplon-Orient-Express (VSOE) launched in the 1980s, deliberately designed to transport passengers back to the golden age of train travel. Kenneth Branagh’s recent film adaptation of Agatha Christie’s Murder on the Orient Express can only have helped to thrust this cinematic mode of traversing Europe back into the limelight. Choose from single or double cabins, or a cabin suite. The sumptuous spaces are relatively small, compared to a similarly priced hotel bedroom, but perfectly formed. Plush seating, available during daylight hours, converts into beds come the night. Each cabin has its own washbasin, but those looking for extra privacy should opt for one of the Grand Suites, which include new ensuite bathrooms. 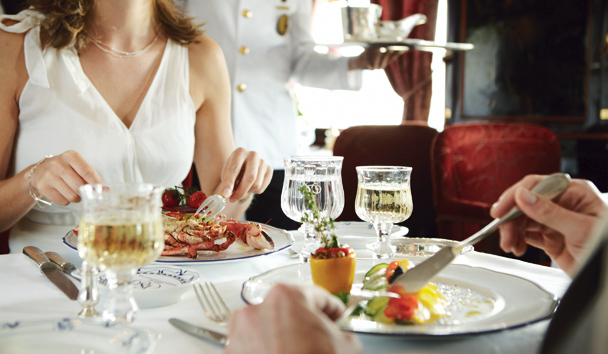 Feasting in the train’s historic dining cars – Côte D’Azur, Etoile du Nord and L’Oriental – is a highlight. Features include intricate marquetry, Art Deco iconography and gorgeous René Lalique glass panels. The food, crafted by executive chef Christian Bodiguel, is inspired by the route and is served with expertly paired wines. Seasonal ingredients are of paramount importance and might include tender, marinated lamb or broiled lobster. The Alpine stretch of the Venice to London route boasts breathtaking scenery as the train snakes through the delightful Dolomites and into Austria. Continuing west, take in the elevated Arlberg Pass, studded with tall pines and chaletstyle homes, and the snowcapped peaks of Liechtenstein. It’s a year of anniversaries for fans of Agatha Christie but what’s behind her enduring appeal?